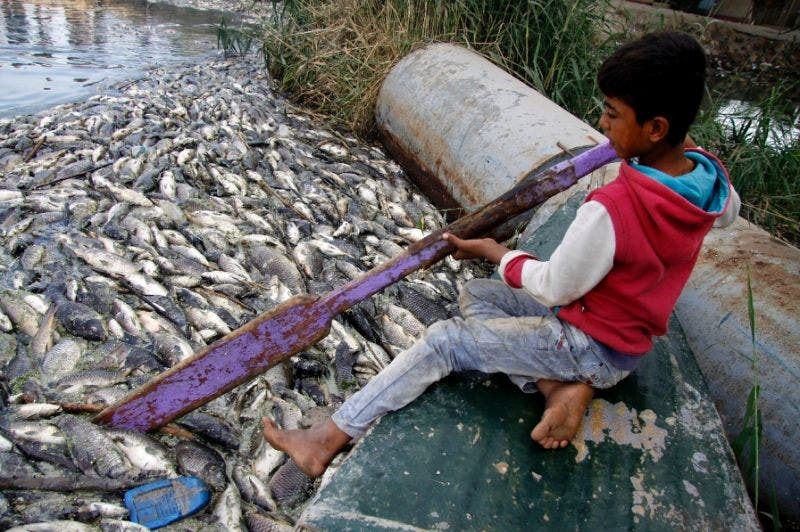 Tons of carp have been found dead in fish farms on the banks of the Euphrates River in Iraq all last week. The mysterious death of freshwater carp has caused severe losses for Iraqi fish farmers as carp is the national Iraqi dish besides fears over public health caused by worsening pollution. Several videos and images were taken of the massive number of carps found dead on the river banks. The cause of this catastrophe remain unclear. Meanwhile, Iraqis went to exchange accusations between blaming the government for the deteriorating public health and blaming “specific anonymous parties”; including Iran, that aims to harm Iraq it is suggested.